A delightful Hatbox with combination of Red Naomi roses, skimmer and diamante pins. We guarantee the quality, freshness, and presentation of our flowers, plants and gifts. If you or your recipient isn’t 100% satisfied, we’ll do whatever it takes to make it right. 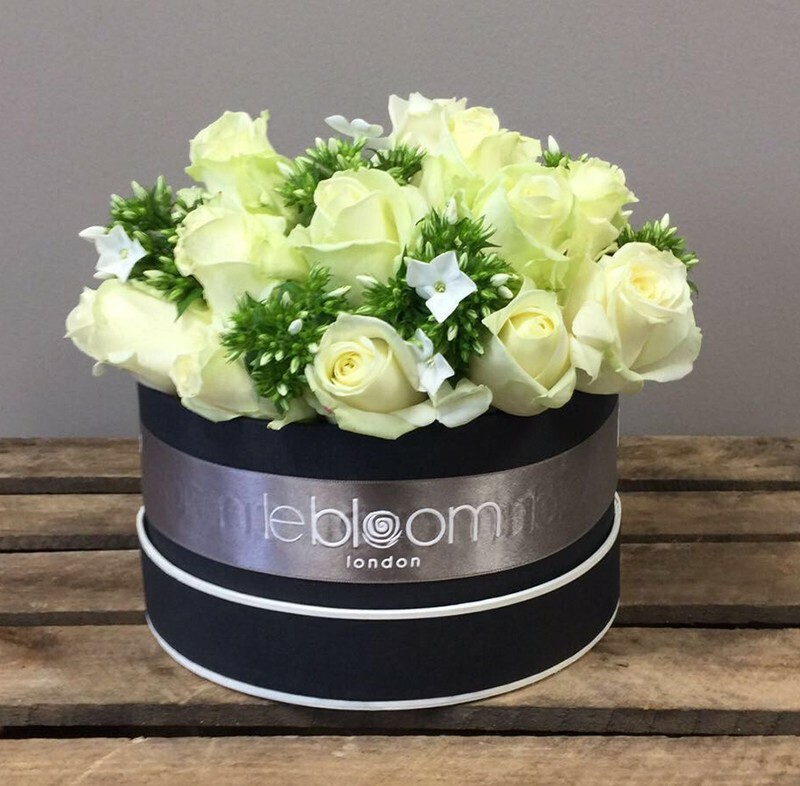 Because at Lebloom London, we know that if you’re not satisfied, neither are we. 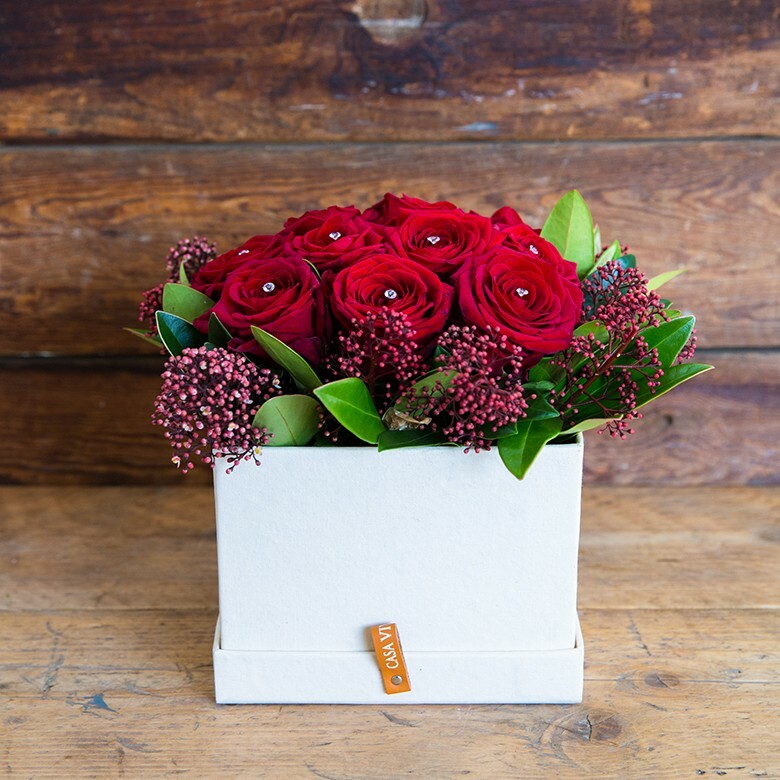 To produce an array of stunning flowers that creates an experience of unforgettable joy and by sending the message you want to share with the people you care about. 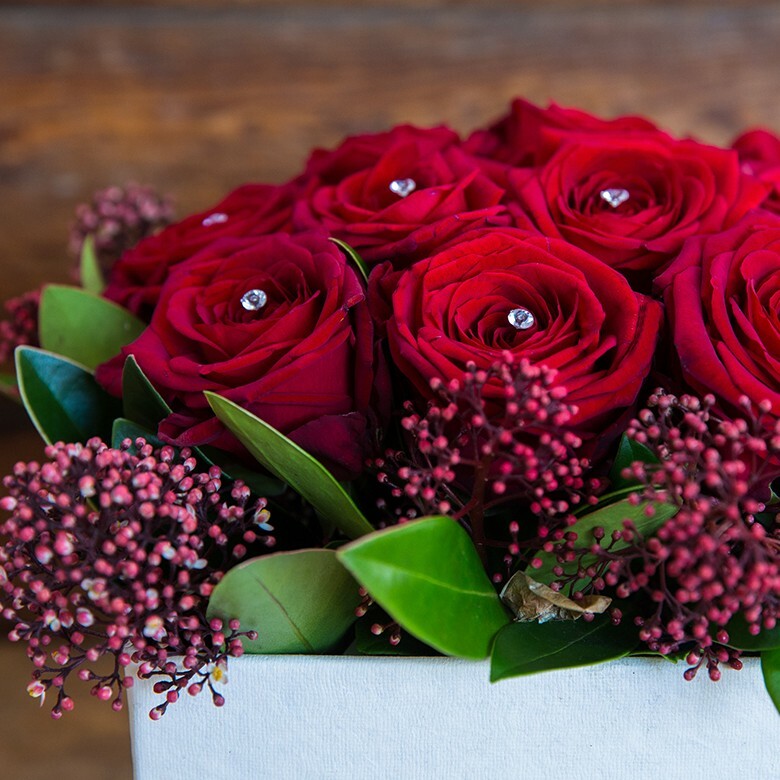 We work hard to create your flowers exactly like you see them on our site, however it may be necessary to create your bouquet with other flowers due to the availability of certain flowers. We would rather substitute your flowers with something fresh, rather than with something old. Care is taken to maintain the style and theme of the arrangement, using flowers of equal or higher value. We take pride and the time to create each floral design for you because it’s you we care about.